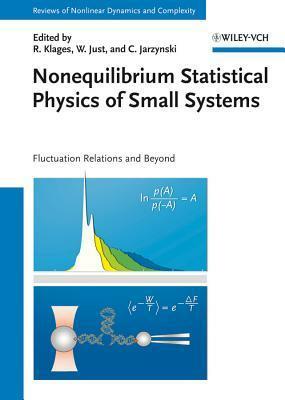 This book offers a comprehensive picture of nonequilibrium phenomena in nanoscale systems. Written by internationally recognized experts in the field, this book strikes a balance between theory and experiment, and includes in-depth introductions to nonequilibrium fluctuation relations, nonlinear dynamics and transport, single molecule experiments, and molecular diffusion in nanopores. The authors explore the application of these concepts to nano- and biosystems by cross-linking key methods and ideas from nonequilibrium statistical physics, thermodynamics, stochastic theory, and dynamical systems. By providing an up-to-date survey of small systems physics, the text serves as both a valuable reference for experienced researchers and as an ideal starting point for graduate-level students entering this newly emerging research field.